to get a tick bite! 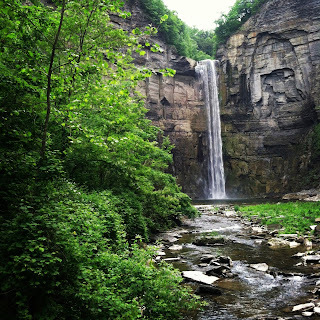 While in popular Taughannock Falls State Park on a well-used trail a few weekends ago, I felt a little a pinch on the inside of my left bicep while I was standing admiring Taughannock Falls. I looked down and sure enough, it was my first tick bite. Luckily, I noticed the bite quickly enough to easily remove the tick without any other issues. But one thing's for sure, tick season is upon us and there's no escaping it. Whether you're into hiking, backpacking, camping, even gardening, ticks are part of the outdoor world. Depending on where you are in the United States, your risk of encountering ticks changes, as does the type of tick you're most likely to encounter. There are several other things you can do to prevent tick bites and to manage bites if you get them. 1. Follow the tick “dress code.” Preventing tick bites starts with dressing right! What you wear when working or playing can help reduce your chances of tick bites. Remember, ticks start low and crawl up. They don't jump, fly or drop from trees; they're normally down on the ground and crawl up until they find a good spot to attach. Covering your skin completely with breathable clothing helps prevent ticks from finding skin to attach to. Though you won't see this technique on the Milan and Paris runways, make sure you tuck pants or leggings into socks. Wearing shorts or capris is an easy way to allow ticks to become attached to you. Exposed skin should me minimal to non-existent. Be a trendsetter on the trails this summer! 2. Utilize tick protective clothing and self-applied clothing-only repellents. Keeping ticks away using repellents is another option. Repellents containing DEET are not sufficient to protect against tick bites; it only repels ticks to areas where they could bite and even that little protection doesn't last long. Permethrin kills ticks on contact. 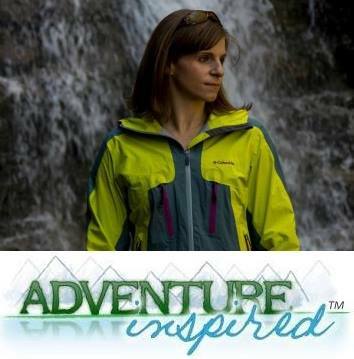 Click here for videos about applying clothing-only repellent and how well Permethrin treated clothing repels and kills ticks. But note that Permethrin is a pesticide and ensure you apply it properly if you do choose it as part of your protection strategy. 3. Conduct daily tick checks - The simplest way to protect yourself is to remove a tick before it has a chance to transmit disease-causing pathogens. Ticks can attach anywhere, even spots like the back of your knee, around waistbands, under armpits or any other constricted place. After spending time in tick habitats, thoroughly check your entire body and remove attached ticks immediately. Ticks do not wash off easily; to ensure you've eliminated the threat, put clothes that have been exposed to tick habitats in the dryer for 10-15 minutes. Get a head start on where to check your body for ticks with this tick bite locator. And remember, ticks can be very small; check thoroughly. 4. Learn about proper tick removal - Even those who use every possible prevention method aren't completely immune to bites. Learning how to properly remove a tick is essential, largely because tick-borne diseases like Lyme Disease, Anaplasmosis, Babesiosis, and Ehrlichiosis can be pretty nasty. Removing ticks is not difficult if you follow the proper procedure. 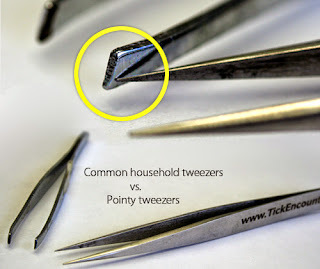 Make sure you have pointy tweezers and rubbing alcohol to prevent any possible disease from spreading after being bitten. In a nutshell, use tweezers to grasp the tick as close to your skin as possible, pull upward steadily to ensure the mouth parts don't stay in your skin, and thoroughly clean the area afterward (video). Consider sending the tick into a testing center after you have removed it to see if the tick carried any diseases. Keep an eye on the area for a few days after the tick is removed and seek medical attention if you have any symptoms of Lyme Disease, including the dreaded "bullseye" rash pattern. Practice these and be "TickSafe" on your next outing. Huge thanks to Cara Sullivan from the University of Rhode Island for contributing to this post, for the helpful links, and for building awareness of tick prevention methods! What tips did we miss? Have you ever been bitten? Leave a comment! Well this is something I know well after this week! I have never had a problem with ticks or even had to take one off of myself. Until this week. I don't know if it's the new house, the new yard, or the river adventures we had this past weekend, but I have found almost 10 ticks in the past week. 5 on my dog, 3 on myself, and 2... in the bed! Living in Western NC the threat of Lyme Disease, and Rocky Mountain Spotted Fever are too real and this tick infestation I have encountered is... scary to say the least. So, it is almost serendipitous to have come across this post this morning. Before my next outing I will DEFINITELY be picking up Permethrin. For some reason I have not heard of this. For my furry best friend (as of this morning) I have him using Frontline as recommended from the vet. The recommended tick removal method for animals is the same as humans, so (as of last night) I now have a designated tick removal kit for both of us: tweezers, rubbing alcohol, antibacterial soap, rubber gloves, and a jar to put those nasty things in. This may be over board but after the amount of ticks I've seen this last week, I don't care. So happy to have found this article. Thanks for the permethrin advice and spreading the word about ticks. Shocking, but just when you least expect them there they are! Everyone should check themselves when coming in from the woods this summer. Be TickSafe! I'll let you know if I start developing that dreaded "bullseye" rash pattern! Ha! Tick season in Western NY is crazy this year - 3 people on one trail run picked them up... its pretty intense... good tips today! Thanks for this, here in Norway, especially in the fjord region the tick season is on too! I had a close encounter last summer with one tick too, but luckily that's been the only one. One of my friends has been suffering from Lyme Disease for about seven years now (it was diagnosed late, just last year) and it's been a struggle to get rid of it.